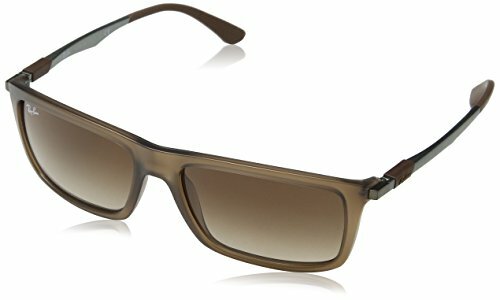 Mens rectangular plastic brown shape frame with brown gradient non-polarized lenses. The temples are metal, standard nosepads and this style is rx-able. Sporty rectangular nylon fiber shape frame with matte finishes. Flex hinges and metal temples.